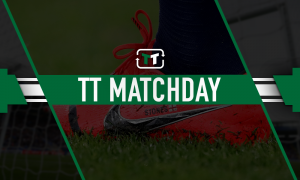 Tottenham have bid for highly-rated French forward rejected | The Transfer Tavern | News, breakdown and analysis on all things football! Our resident Tottenham Hotspur fans are having mixed feelings this morning in the Tavern after their 4-1 win over Sunderland at the weekend was shadowed by news that their club have seen a bid for Wissam Ben Yedder rejected. According to France Football, the London outfit made a bid worth £6.1 million for the striker, but saw it rejected by his current club Toulouse. Mauricio Pochettino is said to be desperate to recruit another forward this month, with Loic Remy and Saido Berahino already being linked with a move to White Hart Lane. And despite netting 4 goals against relegation candidates Sunderland at the weekend, the Spurs fans by the fire remain concerned that an injury to star striker Harry Kane could scupper their chances of landing a Champions League place for next season. However, reports suggest that the Lilywhites’ initial bid for French centre forward Ben Yedder has been rejected because the club are looking for a sum of £7.6 million if they are to allow their man to depart. The 25-year old is capable of playing as either a centre forward or second striker, and he is a proven goalscorer, having netted 56 goals in 4 full seasons in Ligue 1. Our landlord thinks that Spurs could improve their offer and match Toulouse’s £7.6 million asking price as they look to bolster their attacking options. Spurs fans, would you like to see Ben Yedder added to your squad? Let us know in the comments below!